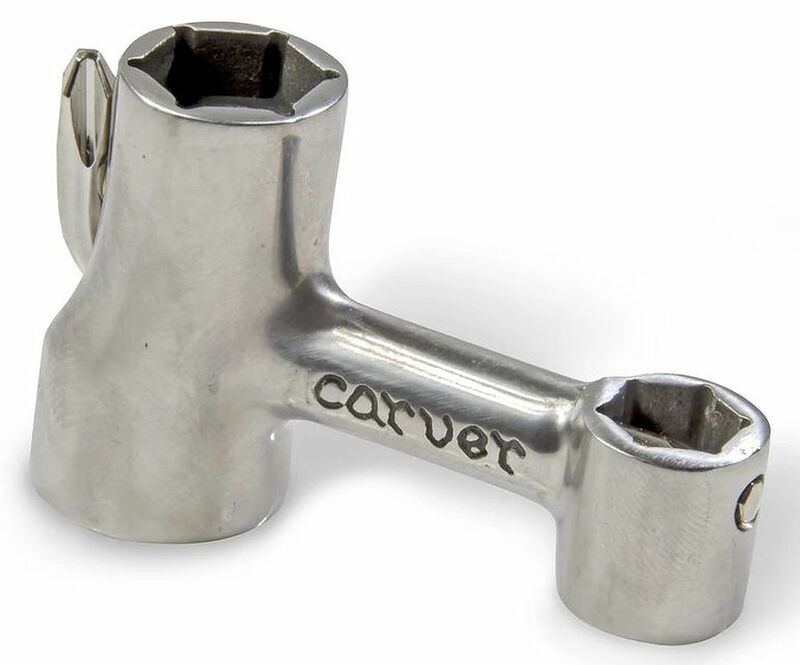 5	stars -	"Review for Carver Pipe Wrench" Mark Taylor This Carver Pipe Wrench is the best Accessories Skate I have tried. This universal pocket shop measures in at under 2 1/2" in length, so it's easy to bring along a session for on-the-fly adjusting. Made of tool grade stainless steel, it wont rust, break or wear out, guaranteed. The Allen key snaps on with a powerful neodymium magnet.